RODRIGO GUDIÑO is executive producer of Rue Morgue Radio, founding editor and publisher of Rue Morgue Magazine and CEO of Rue Morgue Cinema. 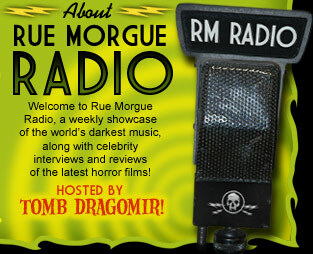 TOMB DRAGOMIR is the producer and host of Rue Morgue Radio and one of Rue Morgue Magazine’s longest standing music contributors. Tomb has been a long time host of radio programs in Peterborough and Toronto. 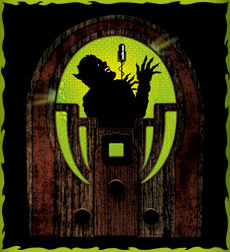 STUART "FEEDBACK" ANDREWS conducts interviews for Rue Morgue Radio and is also the host of CKLN Radio’s weekly film show Cinephobia. A columnist for Rue Morgue Magazine, Feedback also pens Indie Terror Fest, a monthly spotlight on independent horror films. LIISA LADOUCEUR is Rue Morgue Radio's music reviewer. She has worked for major radio, TV newspapers and magazines and likes pointing out typos in her hate mail. To submit an album to Rue Morgue Radio, please mail your disc to: Rue Morgue Radio, 2926 Dundas Street West, Toronto, ON, M6P 1Y8, Canada. If you experience any problems with this website, please contact our webmistress.